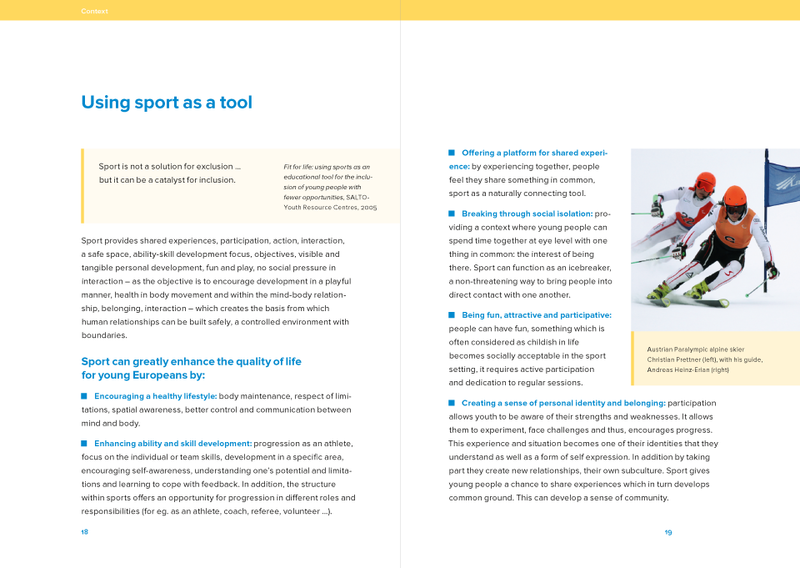 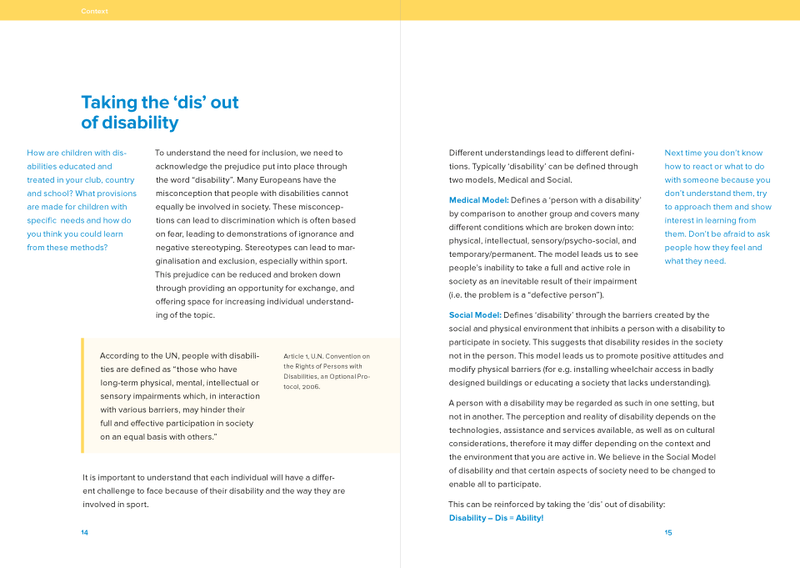 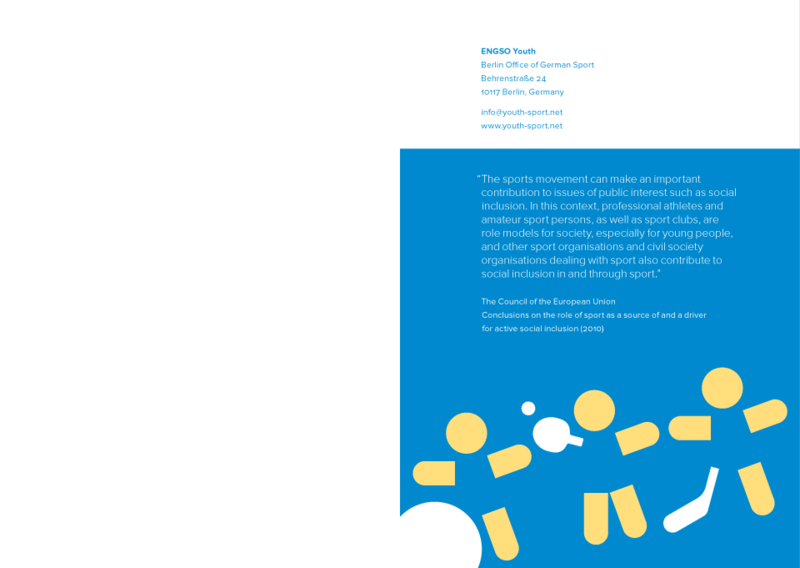 Concept and layout of a 44-page brochure on inclusion strategies / methods in sport (specifically youth sport). 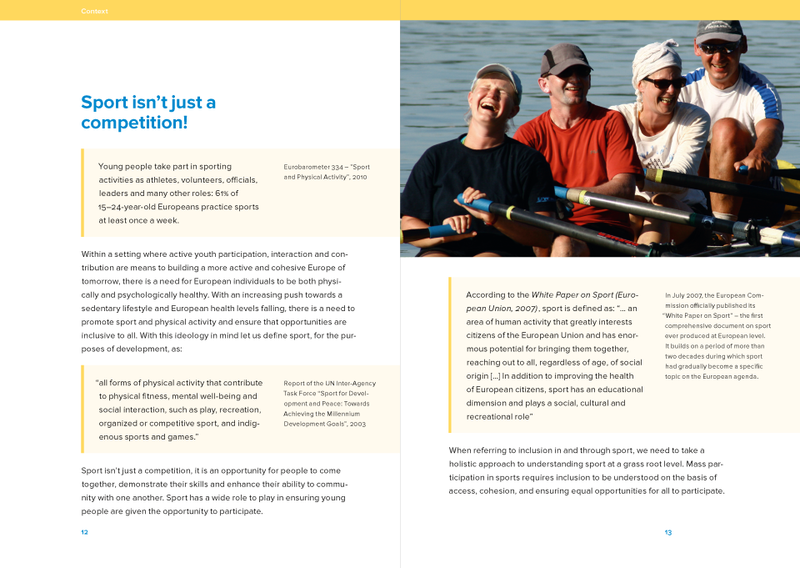 The design is based on a pre-existing CI, which didn’t have any specifications for brochures of this format yet, so it’s a very free adaptation. 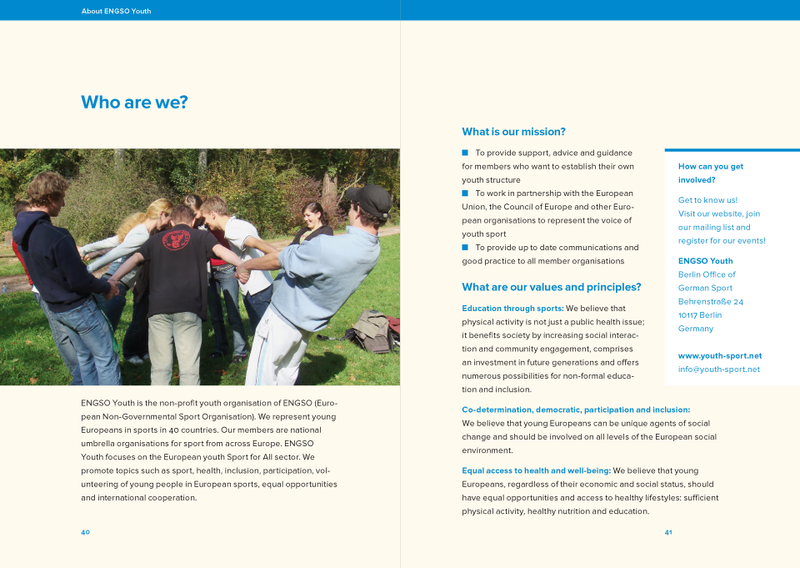 A (low-resolution) PDF of the brochure is available on the EPC website. 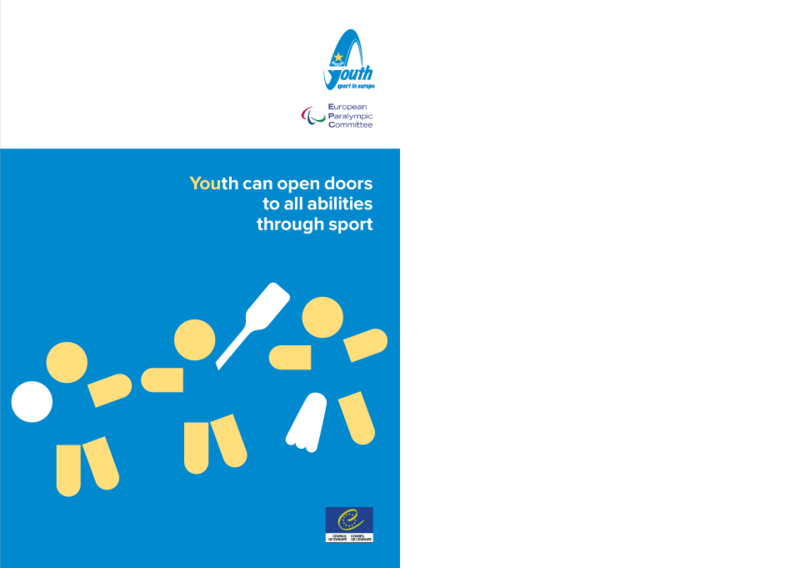 Published by ENGSO Youth and the EPC | European Paralympic Committee, 2011.